Thanks to the blog The Captive Reader, I have been completely lost in the works of D. E. Stevenson (Dorothy Emily Stevenson, 1892-1973) since Christmas. She is the perfect writer to get me through the winter months, with her light wit, cleverly rendered characters, and cozy English village settings. Stevenson clearly idolized Jane Austen–she refers to Austen in every book I’ve read so far– and took notes from Austen on how to develop unique yet familiar characters. Her works are similar to some of her contemporary British authors (Barbara Pym, Dodie Smith, P.G. Wodehouse, etc. ), but they avoid the dismal endings so often chosen by mid-century authors. Stevenson is a fan of tying up books neatly at the end, which I appreciate even as I am aware that tidy endings are not considered very artistic in this day and age. Why not? I have no idea. Books don’t have to be open-ended like “real life” to be art, people. But I digress. Stevenson published over 40 novels between 1923-1970. Her works are becoming popular again thanks to Persephone Books‘ re-publishing three of her works since 2009. I started with Mrs. Tim of the Regiment, which is written as the diary of a woman married to a soldier in 1935. Hester (Mrs. Tim) is a very likable character, the kind you’d think would make a great friend, and the characters around her are all amusing. The book isn’t very plot driven, but more about character development. It was written at the request of one of Stevenson’s friend’s whose daughters was going to marry a British soldier. Stevenson stated that she wrote it as an autobiographical piece mixed with fictional characters and plot, so it is an interesting piece of social study at the same time that it is a light novel. I found the last third of it to be rather slow, but enjoyed it over all. Miss Buncle’s Book is my favorite so far. It follows the tale of a poor spinster in a small English country village who turns to writing to make ends meet. The only problem is she has no imagination, so she writes a novel based entirely on the people of her own neighborhood. Miss Buncle’s book wreaks havoc on the peace of her neighbors when the village begins to read it. I loved this book! It is clever and flows well from beginning to end. The characters are delightful and there is a more sustainable plot in it than any of the other Stevenson books I’ve read thus far. 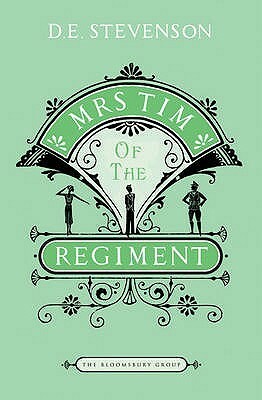 While Mrs. Tim of the Regiment is a book I’d definitely recommend, if you’re only going to read one Stevenson, make it Miss Buncle’s Book. I think the sequel, Miss Buncle Married, is also worth a read if you enjoy Miss Buncle’s Book, though it is not as well crafted as the first book in the series. I’m now in the midst of Mrs. Tim Gets A Job, which is enjoyable because it’s about Mrs. Tim, but it’s my least favorite Stevenson so far. However, saying it’s my least favorite Stevenson still puts it miles ahead of most of the current books I’ve picked up in the last six months. If you like “vintage” novels and need a good winter read, several of Stevenson’s books are available on Kindle or Nook. And of course, there’s always the library. Sadly, my local library doesn’t have many of Stevenson’s books and I ended up buying two of them (gasp!) on my Nook. What have you been reading to keep sane through these cold winter months? 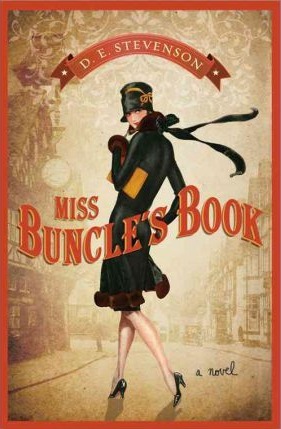 I recently discovered the delightful Miss Buncle books when Amazon featured the first one as a daily Kindle special. After reading it, I immediately bought the next one and enjoyed it, too. I haven’t read the Mrs. Tim books yet, but I’d like to! I hope you’re able to find the Mrs. Tim books easily, Tricia. I am having some difficulty, and most of what I find is in large print. I’m hoping that more D.E. Stevenson will be re-published in soon!